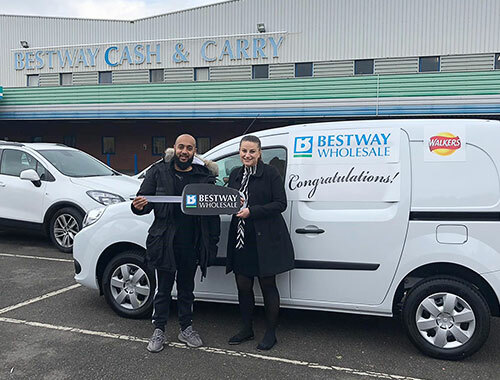 The van was handed over to Mr Ashad Alam along with one years’ free insurance and £100 worth of credit to spend on Walkers products, at Bestway’s Birmingham Depot, on Tuesday 6th November. Haleem Sadiq, Trading Controller for Impulse at Bestway, said: “We are always encouraging suppliers to partner with us and activate campaigns and promotions which put the customer at the heart and offer genuine rewards to help customers grow their food and drinks business. This competition supported by PepsiCo, was a great example of just this. 30,000 customers qualified for the prize by simply buying three cases of any Walkers product during the promotional period. The winning customer was picked at random by a third party agency, Prizeology.